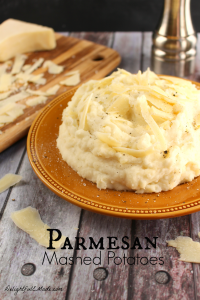 Looking for an easy, cheesy potato side dish? 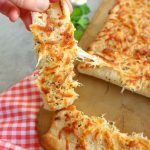 This Cheesy Hashbrown Casserole recipe is made in the crock pot or slow cooker, making it the perfect make-ahead side dish! 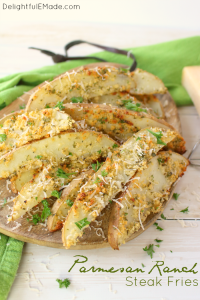 Creamy, cheesy and completely delicious, these potatoes are perfect for holiday meals, cookouts and pot-luck dinners! 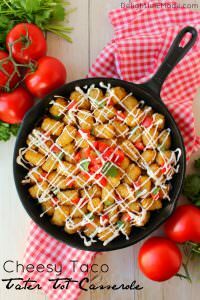 If there ever was a side dish that I’ve made over and over again, it’s this cheesy hashbrown casserole recipe! I originally discovered this recipe when I lived out west in Boise, Idaho. 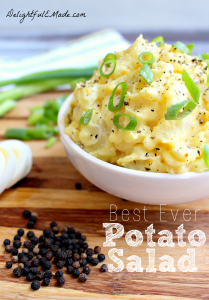 (You can’t live in Idaho without coming away with some of the best potato recipes ever!) 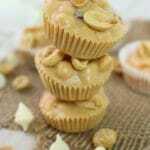 It’s not only a simple recipe, with basic ingredients, but I’ve adapted it to be made in the crock pot or slow cooker. 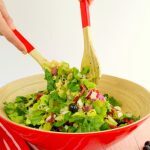 Because all the cooking is done in the slow cooker, it’s the perfect side dish for holiday meals, cookouts, or parties. There is literally 5 minutes or prep, and the slow cooker does the rest! Yes, it is literally that easy! 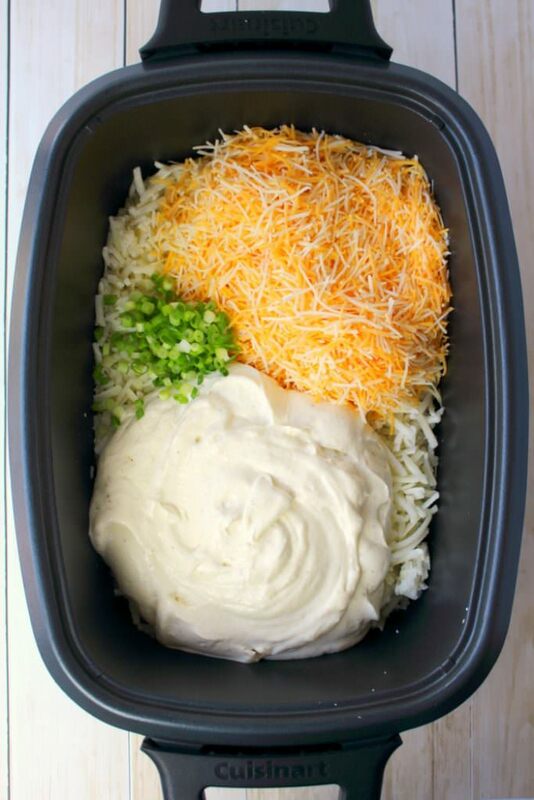 The recipe consists of a package of frozen hash brown potatoes, a package of shredded cheese, chopped green onions, and a sour cream sauce. The creamy sour cream sauce consists of a carton of sour cream, a can of cream of chicken soup, salt and pepper. It really doesn’t get much easier or simple than this! Before setting the slow cooker on low, stir all of the ingredients together well. The sour cream sauce, cheese and onions need to be well incorporated into the hash browns. 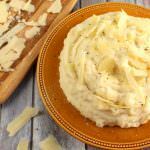 As the slow cooker begins to cook the ingredients, everything will melt together creating creamy, delicious potatoes. 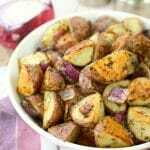 This side dish really is fantastic for holiday dinners, or cookouts, picnics and parties. 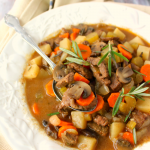 It’s fantastic to quickly stir together, and let the slow cooker do all of the work. It’s also nice to have it not taking up any oven space when you’re cooking a big holiday ham or turkey. 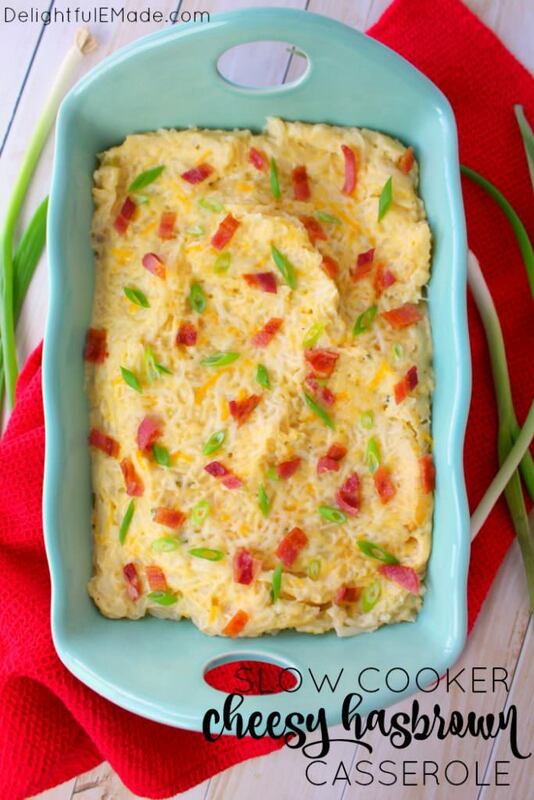 This cheesy hashbrown casserole recipe needs to cook in the slow cooker on low for 3-4 hours. If you need to speed up this process, you can cook on high for 2 hours. 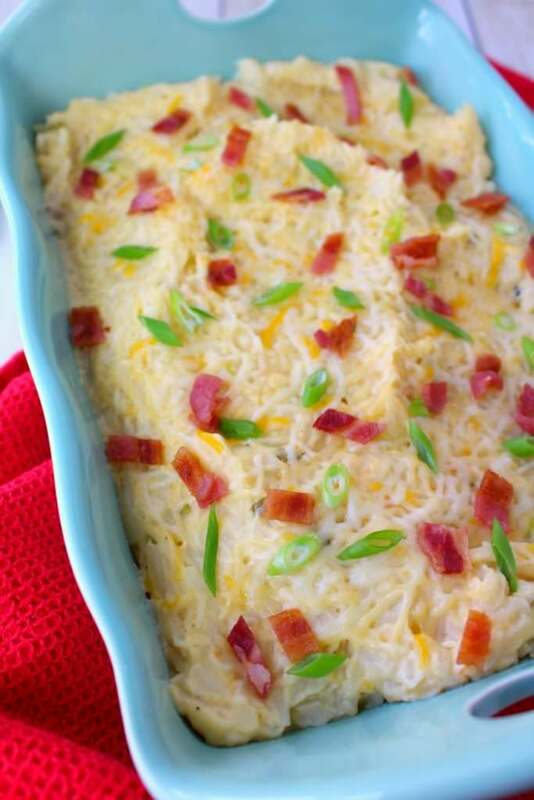 Once the potatoes are cooked, feel free to transfer to a serving dish and top with additional toppings, like additional cheese, crisp bacon and green onions. We especially love the bacon, even mixed in as an ingredient. I’ve also thrown in leftover ham and served this casserole as an entree. 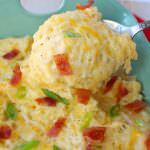 If you’re taking this cheesy hashbrown casserole to a party, feel free to keep the casserole right in the slow cooker to keep warm. 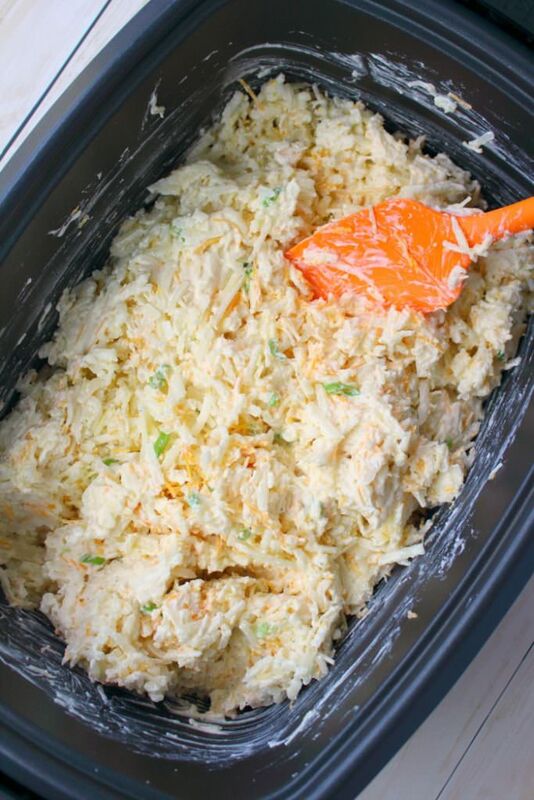 Into a slow cooker add the frozen hash browns, sour cream, soup, cheese, onions, salt and pepper. Stir together well so all ingredients are well incorporated. Set the slow cooker on low heat, and cook for 3-4 hours, stirring occasionally. Once ready to serve, top with additional toppings of your choice. If taking this casserole to a party or cookout, feel free to keep in the slow cooker to keep warm. 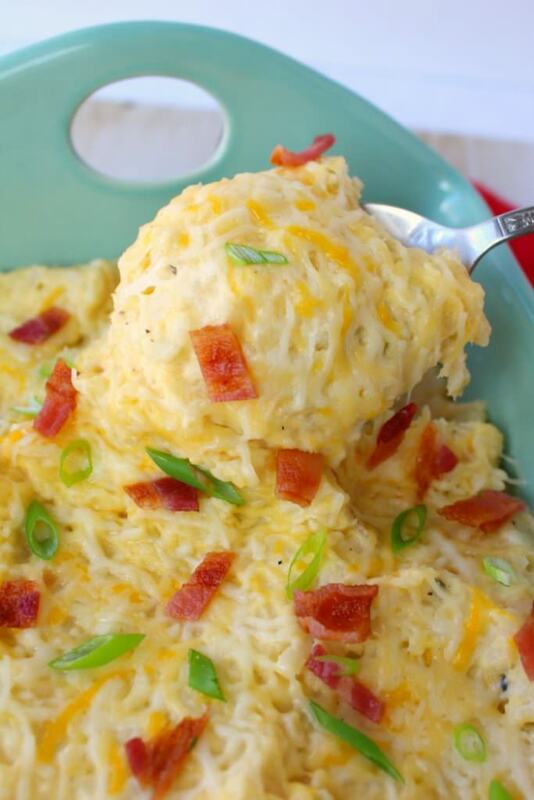 These look fabulous...and give me yet another excuse to break out the crock pot! Happy Fiesta Friday!